In anticipation of the upcoming exhibition of the Cheapside Hoard at the Museum of London, Birmingham City University researchers are examining select pieces from the hoard with the latest technology to investigate how they were made. 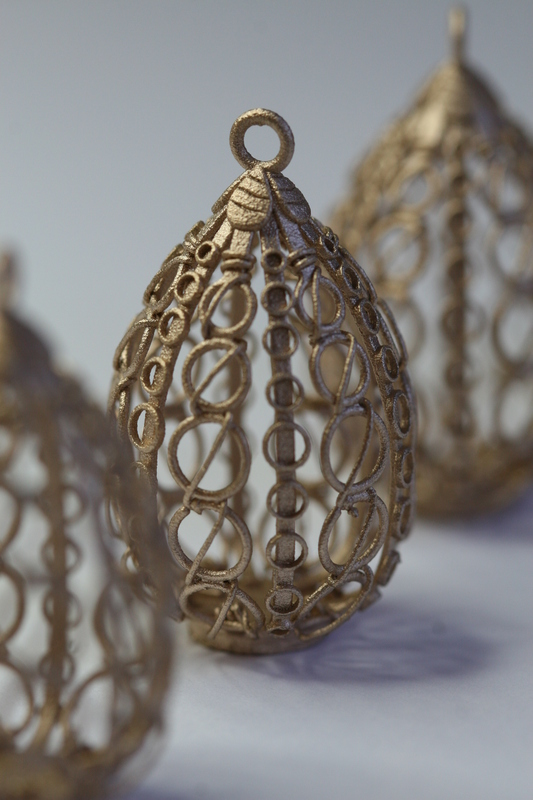 Using laser scanning technology, artCAD (artistic Computer-Aided Design) and CAM (Computer-Aided Manufacturing) software, experts have collected as much data as they can about the construction of the jewelry and then recreated them digitally. “Our forensic analysis has revealed the amazing technologies which craftsman of this period were using – and we fear some of these 400-year-old processes may now be lost to us,” said Dr Carey. Just what those technologies were has not been specified. Some of the pieces were so damaged researchers have to restore them digitally before they could study their craftsmanship. 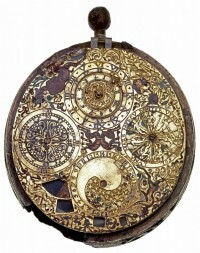 The Ferlite watch, for instance, a gilded brass verge watch signed by G. Ferlite, is severely damaged in a number of areas and corrosion has eaten away at the pendant, case and dials. It was Laser scanned but the results were disappointing because highly reflective surfaces like glass and polished gold can’t be scanned easily. The scans had to be enhanced and interpreted through CAD in order for a full picture to emerge. This kind of highly technical approach went outside the usual curatorial purview, so experts from other university departments were enlisted. Keith Adcock, Senior CAD CAM Technologist at the University of Birmingham’s Jewellery Industry Innovation Centre (JIIC) and Birmingham Institute of Art and Design (BIAD), worked on the watch in CAD/CAM. However, due to the effects of the corrosion on areas such as the day-dial on the right hand side of the watch face, Keith needed to alter some of the automatically generated reliefs. Fading out the photo, Keith used ArtCAM’s advanced vector drawing tools to quickly trace around the parts he wanted. He then remodelled areas using ArtCAM’s “Shape Editor” and combined these with the reliefs generated from the scan data. Smoothing tools were then used to soften the surface finish before ArtCAM rendered the piece as it would have looked prior to receiving its enamel finish. Once the digital model was complete, it was rendered in 3D and printed out of resin on a 3D printer. 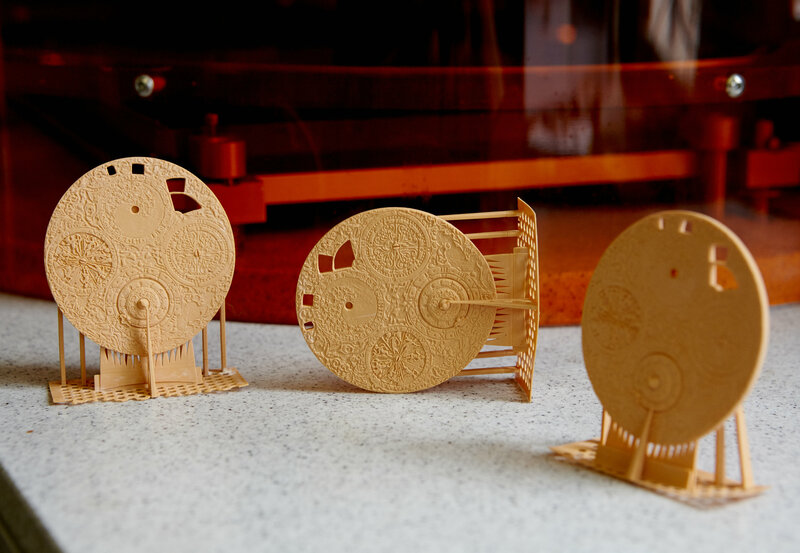 With the specialized supports created in CAD and printed in 3D, the watch resin model looks like the Enterprise with a custom clockface body kit. 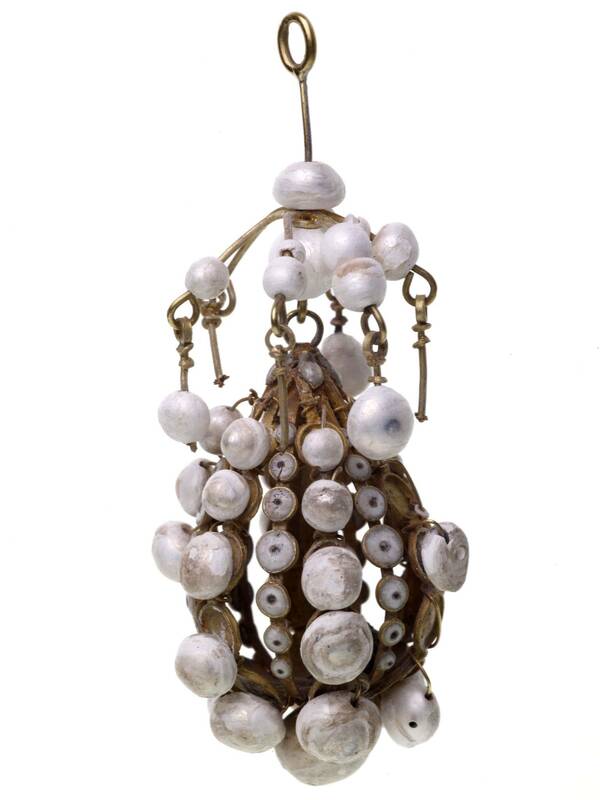 Another piece of the Cheapside Hoard, an elaborate cage pendant (possibly worn as a headpiece) festooned with pearls, was recreated in bronze instead of printed in resin. Stripped of its pearl adornments, the intricate egg-shaped cage structure of the object is exposed. I actually like it better without the pearls carbuncling things up. 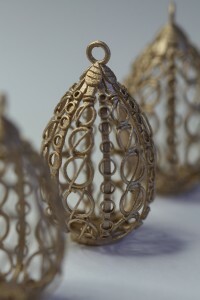 Until we get details about the construction methods used to create these jewels, my favorite part about this research is that the 3D models and recreations will take part in the Museum of London’s Cheapside Hoard exhibition to show visitors how the pieces were made and, best of all, so that the vision impaired can touch, palpate and explore them at will. I think that’s a genius idea, one that I hope to see in implemented widely in the future. This entry was posted on Saturday, July 27th, 2013 at 11:56 PM	and is filed under Medieval, Museums, Treasures. You can follow any responses to this entry through the RSS 2.0 feed. You can skip to the end and leave a response. Pinging is currently not allowed. The watch looks like the Miranda class ship! Like the USS Reliant from the Wrath of Khan!!1! The intricate circles designs actually make me think it used to belong to The Doctor. You know, the titular ( ) from Doctor Who.